Stephen Doughty offers hope for fractured communities through communal discernment. He admits that such a process may begin with mere glimpses of God's will, but the hope and yearning arising from these glimpses fuels our movement forward. With shared prayer, silence, conversation, and perseverance, communities may "undergo God," living through the healing process that God wishes for them. 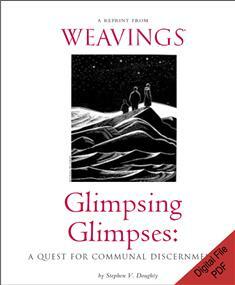 Doughty admits that he himself has wondered what good can come of communal strife, and as he explores his doubts, he finds himself returning to the faith that God will indeed effect positive change. PDF size: 140K – Download times will vary, based on your Internet connection.